HOME / SPORTS &AMP; FITNESS / WORK OUT WITH BOOKS? 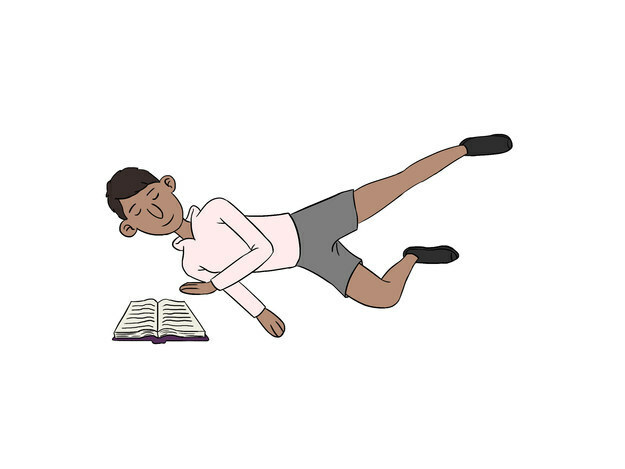 9 EXERCISES FOR ALL YOU BOOK LOVERS! Do you belong to that category of people who absolutely loathe working out? Would you rather read in bed than workout? Are you that person who keeps checking the internet for interesting workout routines? You are in for a delightful shock! Books aren’t just meant for reading. 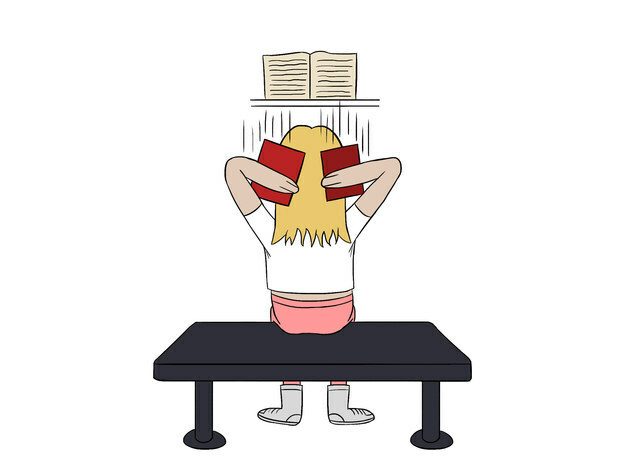 You can work out while reading, we aren’t kidding. It’s true that books are a man’s best friend. They help you laugh, cry and work out! Viola! How would you feel about a workout routine with books? 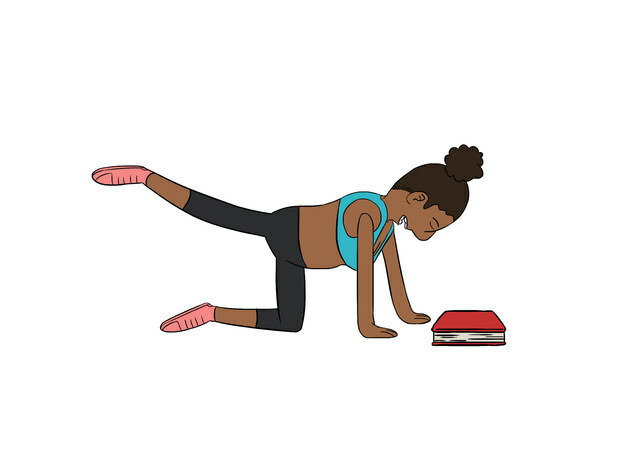 Here are 9 exercises that will make book lovers excited to work out! Assume the sitting position on a wall of your choice. Continue to do this until you finish two chapters. Sleeping on the bed and reading is comfortable but this way you will feel the burn. Place a closed book on the floor in front of you — something you’ve read before. Then say out loud as many characters from the book as you can while completing leg kickbacks for each leg. How it works: Grab two books from a trilogy of your choice in each hand. Prop the third book in front of you for entertainment, and then proceed to complete your desired amount of sets. You’ll be able to finish a book in NO time. 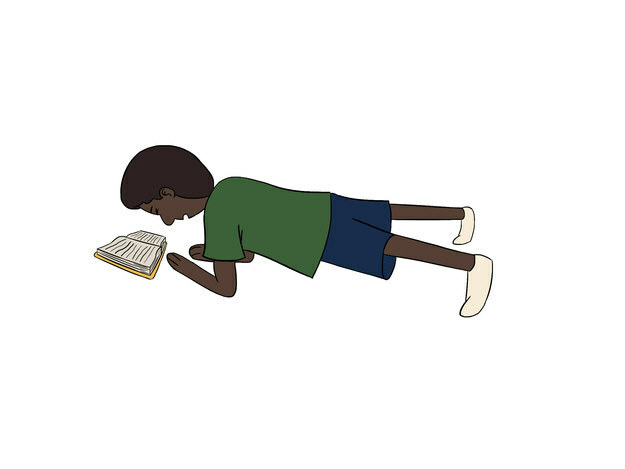 Assume the plank position with your book placed directly under you. 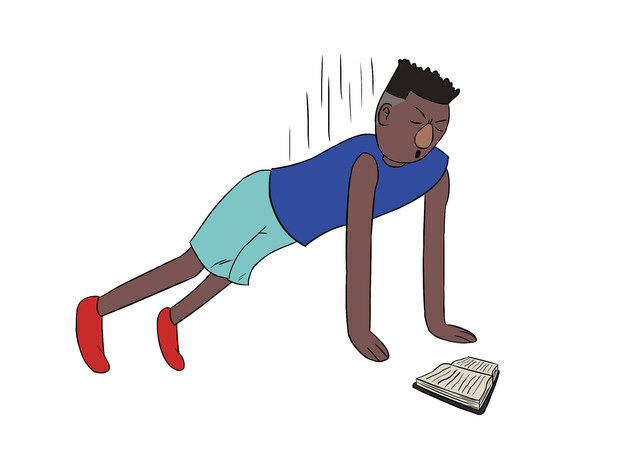 Hold your plank until you’ve successfully finished an entire page. Time flies when you’re reading a good book!! Place a ginormous stack of books in front of you. Then start your crunches grabbing every book from the pile for each crunch you do. Repeat until you have grabbed the entire pile. This might make crunches very interesting. 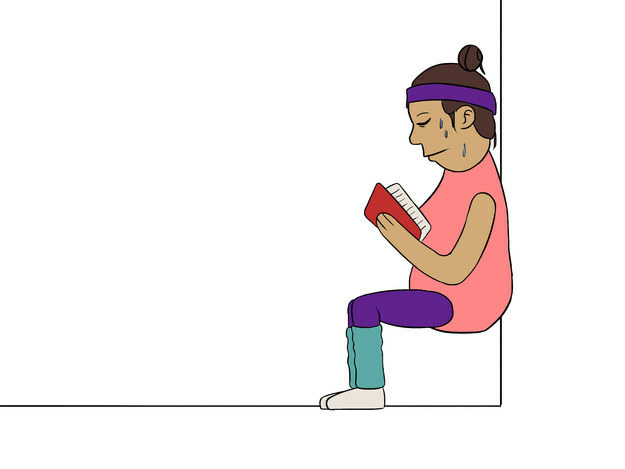 Stand in front of your bookshelf and begin doing the squats. Stop when you have properly named all the titles of every series on your shelf. Begin with one row a day! You will be a squat master in no time. Lie down on your side and move your leg up and down in a motion that resembles cutting with a pair of scissors. Repeat until you have finished an entire chapter. Grab two books of equal weight in each hand. Using the books as weights, lunge across until you’ve completed your desired set. Bonus points if you use encyclopedias. Lie flat on your back. Hold the book above your head and read until your arms are sore. Wasn’t this an interesting workout routine? It gives you a break from your monotonous work out routines. Want to give it a shot? All you book lovers start your work- Read- Outs! Just had the most interesting workout session? Now, take a break!